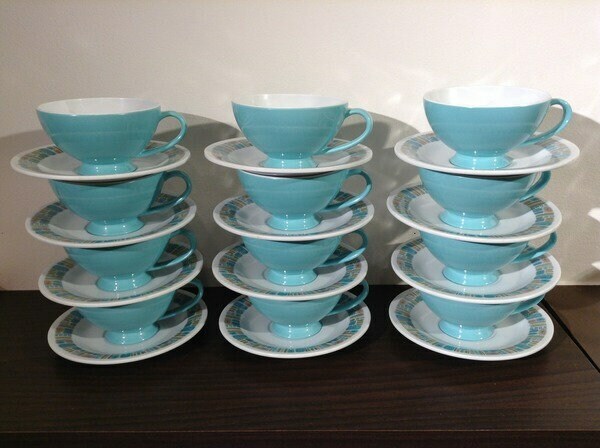 Vintage Texas Ware plastic turquoise coffee cups with saucers. Set of 12 cups and saucers comes with sugar bowl. 6 oz. cups measure 2 1/4" tall. 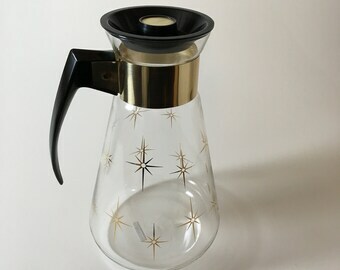 One saucer has yellow stain (see photo). Otherwise in excellent condition.